In the 2018-2019 school year, CIS of Nevada is providing support to 63 comprehensive sites across Nevada. Communities In Schools of Nevada is one of the largest state operations within the nation’s leading dropout prevention organization, proven to keep students in school and on the path to graduation. CIS of Nevada uses an evidence-based model, implemented by trained site coordinators, to connect students and their families to critical educational and community-based resources. This involves working directly with schools, communities and families to identify their unique needs and surround students with a caring network of support. 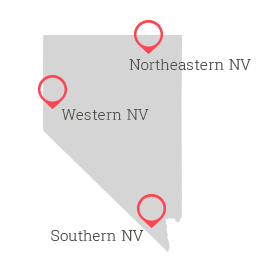 Operating in 63 school sites in Western Nevada, Southern Nevada, and Northeastern Nevada, CIS of Nevada serves over 67,000 students. Nationally, CIS provides services in more than 2,300 schools in 25 states and the District of Columbia, serving 1.56 million young people and their families every year. Each school has at least one CIS Site Coordinator, and a CIS resource room with critical supplies for students.